It’s the holidays and it’s time to go home. Luckily, some of you are able to call Findlay your hometown!  There’s a whole lot of magic here and that’s why Ohio Magazine named Findlay a Best Hometown in Ohio. See? A lot of people think you’re lucky to call our town yours. Maybe you’re scratching your head? But we have a lot to tell you about why you’re going to have the best holiday yet in Findlay. There are certain things you’ve just got to do when you come home. You have to grab chocolate-covered pretzels and a scoop of ice cream at Dietsch Brothers. You have to grab a hamburg at Wilson’s. And did you even make it home if you don’t have an Oler’s margarita? There are a lot of things that don’t change in Findlay and so you definitely can get your fill of the classics. It can be the best part of coming home. Over the last year, there have been some many exciting changes in Findlay. One of the favorites is Findlay Brewing Company‘s new space. It’s a great place to meet friends and spend a little bit of time catching up. The creative beers will have your tastebuds dancing and the menu is full of so many tasty options to try that you may never want to leave. Downtown Findlay has always had great shops for unique gifts, but the list has grown over the last year. Flag City Clothing opened a new shop and you can now easily pick up on of their nostalgic tees in person. Urban Market‘s brand of doing good while being fashionable came to Main Street, and you can find everything from the perfect outfit to the perfect hostess gift in this little shop. And there are so many more stops you can make! Do yourself a favor and get to Downtown Findlay to do your Christmas shopping. Staying with family may be the cheaper option, but sometimes having space of your own is better. This year, the Hancock Hotel opened up in Downtown Findlay. From its comfort and style to its impeccable location, it’s a great option when you come home. You can find all sorts of touches in the hotel that will make you feel like you’re home. From the Hancock County Courthouse artwork over the front desk to the Findlay favorites in the mini bar, it’s a great place to stay when you’re here. Whatever you do while you’re here, make sure you take some time to explore both the classics and the new places. We guarantee you’ll have a great time.